Thanksgiving became my favorite holiday when I started college, surpassing Christmas, which held the top honors before 2014. It’s my first chance to really go home after starting the school year, I get to see friends and family back home that I haven’t seen in quite some time and I get a break from mac and cheese and pizza for a week. Christmas delivers much of the same, but it’s that sense of togetherness that was lost for so long that sets Thanksgiving apart for me. Many of us went home last Thursday or Friday to begin our Thanksgiving breaks. 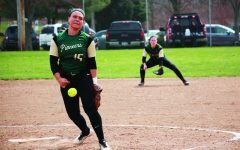 It was a different story for the women’s volleyball team, soccer team and two cross country runners. Their breaks had to wait. They each competed on their own different national stages on Saturday, Nov. 19, attempting to make history while representing Point Park. 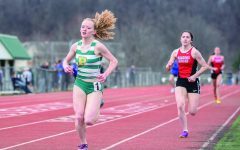 It was Katie Guarnaccia’s fifth appearance in a National Association of Intercollegiate Athletics (NAIA) National Championship, and the junior North Allegheny High School graduate just keeps getting better with each meet. At last year’s NAIA Women’s Cross Country National Championship, Guarnaccia broke her own school record in the 5K race with her time of 18 minutes, 28.1 seconds. She finished 41st in the nation, 11 spots shy of earning NAIA All-American status. Guarnaccia wasn’t alone at this year’s national championship meet. Sophomore Anna Shields joined her on the course after qualifying for the meet by finishing in the top five of the River States Conference (RSC) Championship. Guarnaccia finished third at the RSC Championships while Shields finished fifth. Guarnaccia foreshadowed their national championship performances after the conference championship meet. Guranaccia and Shields, representing their team and their university, ran alongside each other throughout the duration of the race, pushing each other to new Point Park records. 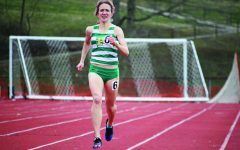 One of Point Park’s most decorated athletes, Guarnaccia again broke her own record 5K school record, finishing with a time of 18 minutes, 20.55 seconds, good for 59th in the country. Shields was one step behind, finishing with a time of 18 minutes, 20.61 seconds. The two finished 30 seconds behind the 2016 All-American pace in a race that fielded 344 runners. The pair of Pioneers topped all RSC runners. Senior Katy Falkenberg from Asbury, who won the RSC Championship meet, finished four spots behind Shields at 18 minutes, 23.82 seconds. The regular season RSC champions couldn’t overcome a long 30-28 first-set loss to advance in the NAIA Volleyball National Championships. The Madonna University Crusaders hosted Point Park in the opening round match in their 16th all-time appearance in the tournament. Madonna kicked Point Park while it was down in the second set, taking a 2-0 lead with a 25-12 victory in the frame. The Pioneers, led by RSC Coach of the Year Mike Bruno, fought back to take the third set 25-22. Point Park’s 15-1 RSC regular season record wasn’t enough to carry it through the fourth set, falling to Madonna 25-17. 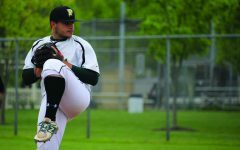 It was the fourth trip to the national tournament in six years for Point Park, who still is without a victory on the national stage in its history. The trip put a close on the careers of seniors Emily Meng, Nikki Inquartano, Madison Weldon, Kirsten Burkes and RSC Player of the Year Shiloh Simonson. Simonson tallied eight digs in the match to finish her career with 1,550. She added two more kills to her resume as well, giving her 1,100 as a Pioneer. The Pioneers overcame a 1-10 start to their season to finish the year 20-15 overall with their third straight appearance at nationals. 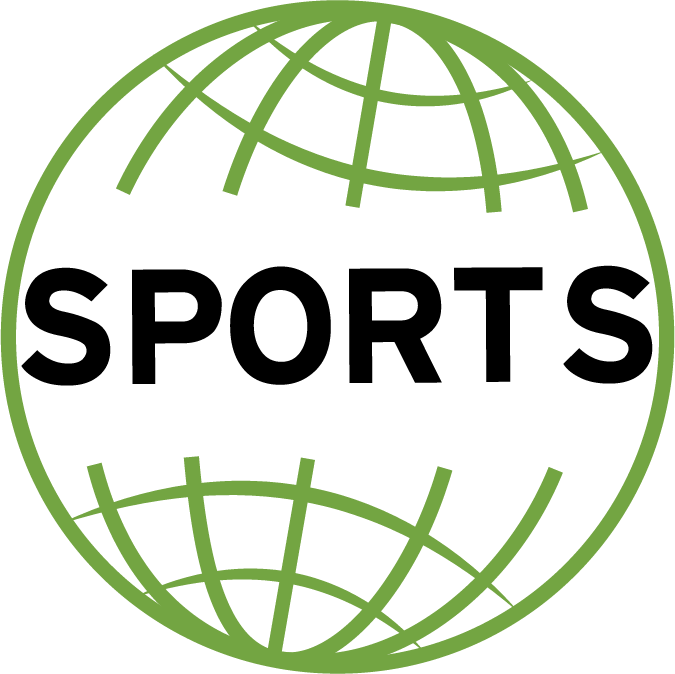 The volleyball team became the fourth Point Park program to make three straight appearances at nationals, joining men’s golf (2012-15), women’s basketball (2011-14) and baseball, which has accomplished the feat three times. Defense has carried the RSC Tournament champions all season long, but the defense of the No. 2 team in the country ultimately spelled defeat for the Pioneers. 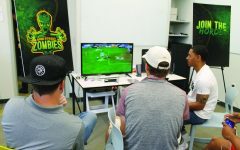 Point Park was making its second appearance in the NAIA National Tournament after winning its second straight RSC Tournament Championship. Lindsey Wilson hosted Point Park for a repeat of last year’s NAIA Opening Round match-up between the Blue Raider and the Pioneers. Point Park fell to the then-No. 1 Lindsey Wilson 5-0, ending its season that resulted in the first conference championship in program history. Point Park’s defense showed up to play, allowing only seven shots throughout the contest. It was only the fourth time the Blue Raiders were held to fewer than 10 shots this season. The other three teams are top-10 seeds in the national tournament. But Lindsey Wilson’s offense struck twice before halftime, capitalizing on its limited opportunities to take a 2-0 lead into the locker room. Yvonne Ploeg scored the second goal of the game in the 35th minute, and put the nail in Point Park’s coffin with another tally in the 86th minute to send Point Park home with a 3-0 loss. The Pioneers only managed five shots. RSC First-Team midfielder Izzy Hunter registered three of those shots. RSC Second-Team defender Paige Manning’s 19th-minute shot was the only one on goal for Point Park. Point Park left it all on the field at Blue Raider Stadium in Columbia, Ky. Its championship season should excite Point Park soccer fans for a strong repeat performance in 2017 that will field many of the same players that played their first year in a Point Park uniform in 2016. The women’s soccer team will aim to become the fifth Point Park program to make nationals in three consecutive seasons in 2017, with the ultimate goal of winning a contest on the national stage.